Kowalskiy! Kowalskiy: ...The Dirty Demographic! We may well be in the presence of greatness here, and I'm not just talking about the dress sense... dickie-bows are back in apparently. I am of course speaking in a more musically-minded sense. It'd be fair to say there's no other band around these parts quite like Glasgow four-piece The Dirty Demographic. Lead-singer Angus Munro (him what has the dickie-bow) will fill you in on each of the band's multi-musical-facets below, but what he won't say is just how jaw-droppingly fantastic each of them are, their vocal gymnastics and his own super-smooth vocals especially. Their debut EP is out now, so have a wee listen to Lucky (The Matchmaking Wonderdog) and see what they have to say for themselves. Kowalskiy: Who are The Dirty Demographic? 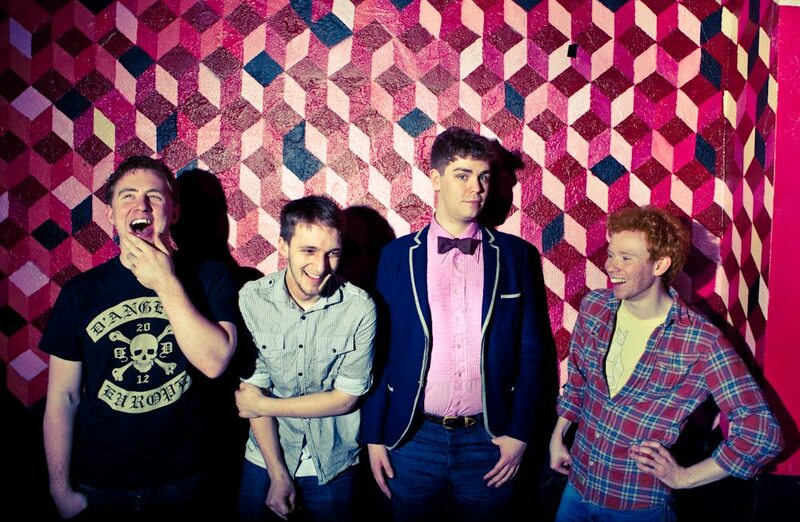 Angus: We are a Piano-Indie Pop band based in Glasgow. 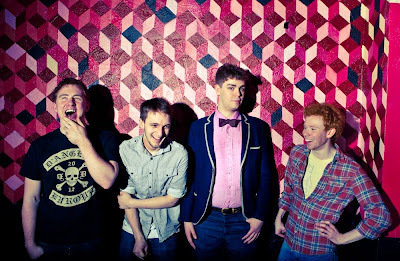 Angus: We write highly-addictive & catchy songs that'll stick in your head like toffee on teeth. Three-part vocal gymnastics, Moog solos, Fuzzy Bass riffs & Snappy drum beats all topped off with an elbow drop or two on the piano. We will also be on Napier University's debut Podcast show this April so look out for that! Kowalskiy: You forgot your debut EP on iTunes! So, what else can we expect from The Dirty Demographic in the future? Angus: We have an album ready to record so we'll release some singles prior to that. We have a few launch party ideas which sound like a lot fun so we are very much looking forward to setting them up. We'll be branching out from Glasgow & Edinburgh this year also so expect to see us play some out of the way gigs real soon. So there we go! All that's left for me to say is get your hands on a copy of their EP... from here, and to remind you again that they'll be playing King Tuts two weeks tomorrow. Cheap ticket details above. It'll be worth it for the elbow drops alone!